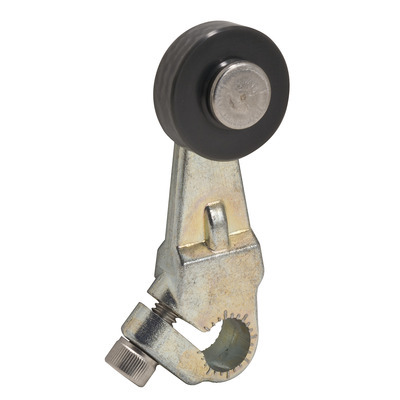 Detailed Description: Schneider Electric / Square D Miniature potted limit switch lever arm with nylon roller features die-cast zinc construction to offer enhanced durability. The 2-Inch lever can withstand a temperature of -40 to 221 deg F. Limit switch lever can be rotated at an angle of 30 deg. It can be easily reversed for opposite hand operation.